Bestowed is a monthly subscription service that provides a variety of healthy snacks. 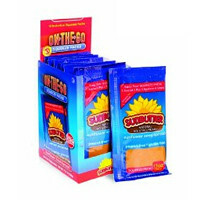 They send out a box per month with 5 or more healthier snacks. Here are some of the products included in this month's box. The box costs $15 per month and can be paid for annually or monthly. 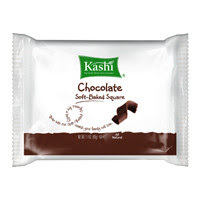 -Kashi Soft-Baked Chocolate Squares: These have 160 calories per snack bar. I ate mine as a mid-morning snack at work and enjoyed it. I spread a bit of peanut butter on it for a bit of extra protein. The bar was very soft and tasty. It was a nice chocolate fix without too many calories. -Sunbutter Sunflower Seed Spread: I had never tried Sunbutter in the past but was excited to since I have seen it for years all over the blogosphere. It was tasty and creamy. It tasted just like ground sunflower seeds and was yummy in place of peanut butter on a sandwich with jelly. 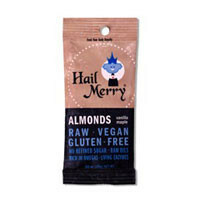 -Hail Merry Vanilla Maple Almonds: These almonds were pretty good but not my favorite item in the box. They were a little bit too sweet for my liking but I think that they would be good crushed over a spinach salad or on oatmeal. I love protein bars and fruit.. my fave! Hummus and whole wheat pita wedges!